Elderly couples who want to have a child through in-vitro fertilization (IVF) should compulsorily nominate legal guardians for the baby prior to treatment, a doctor who recently helped a septuagenarian couple give birth to their first child has suggested to a body of gynecologists in the country. 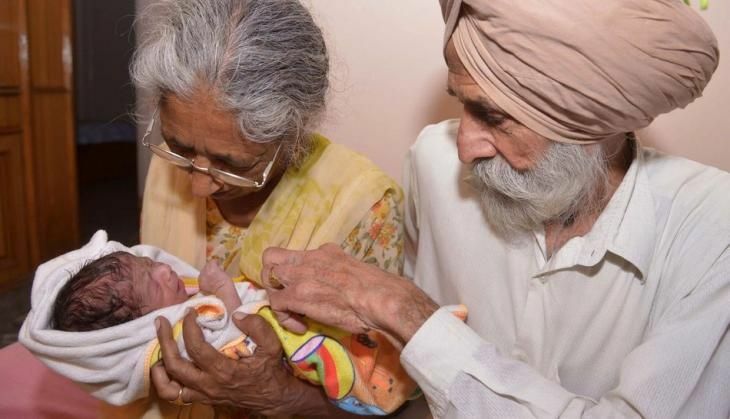 Medical fraternity across the country had raised concerns over the use of in-vitro fertilization after the Amritsar couple - Mohinder Singh Gill, 79, and his wife Daljinder Kaur, 72, - gave birth to a child on 11 May, with many demanding a law due to concerns over the child's welfare as he may not have a "normal" childhood. Dr Anurag Bishnoi, who helped the Amritsar couple, in his letter to the Federation of Obstetric and Gynecological Societies of India (FOGSI) has suggested that IVF experts should opt for self regulation while helping such couples as the right of becoming mother is a "fundamental" right. "In future, while taking elderly couples above the age of 50, IVF experts should make it mandatory for patients to nominate legal guardians before taking the IVF treatment and an affidavit in related court be made. "This will ensure that children born to the elderly get proper care in case of any eventuality. We feel this new arrangement should make all sections agree to bring an end to the recently risen genuine concerns by the medical fraternity," he said. Recently, there has been upsurge in the number of older women getting pregnant with the help of Assisted Reproductive Technology, Dr Bishnoi, an embryologist and owner of National Fertility Centre, in Hisar, said. Educational and career goals, late marriages and rise in contraception services have also contributed to the shift in child bearing patterns, he said. American laws have no such restrictions but medicine in practice guidelines recommend that all recipients of oocyte donation over the age of 45 should undergo thorough medical evaluation, including cardiovascular testing, and a high risk obstetric consultation before treatment, he said. "The right of becoming a mother is her fundamental right and she should continue getting it," Dr Bishnoi said. Vijay Mallya ready to return India. Conditions apply! READ NEXT >> Vijay Mallya ready to return India. Conditions apply!